Netanyahu arrived in France Wednesday for two days of talks with President Hollande on the Iranian nuclear threat and bilateral ties. Israeli Prime Minister Benjamin Netanyahu arrived in France Wednesday for two days of talks with President Hollande on the Iranian nuclear threat and bilateral ties. It is Netanyahu's "first opportunity to talk with President Hollande, and he hopes to build a good working relationship with the French leader," a source close to the Israeli leader told AFP. Since taking office five months ago, Hollande has only spoken to Netanyahu by telephone but has already met Palestinian Authority Chairman Mahmoud Abbas twice -- both times in Paris. The last time Netanyahu visited Paris was in May 2011 when he sought to drum up French support to head off a Palestinian Authority initiative to seek full state membership at the United Nations, which eventually stalled at the Security Council. This time, their talks were expected to focus squarely on the international standoff over Iran's nuclear program, Israeli officials said. A diplomatic adviser to the French president said Netanyahu's visit would also focus on deepening bilateral ties, relaunching the Middle East peace process and the upheavals in the Arab world. Talks with the Palestinians have been on ice for more than two years, and a source close to Netanyahu confirmed the two men would also touch on ways to revive it. However, PA Chairman Mahmoud Abbas has rejected any chance for talks unless Israel accepts ahead of time his territorial and political demands. 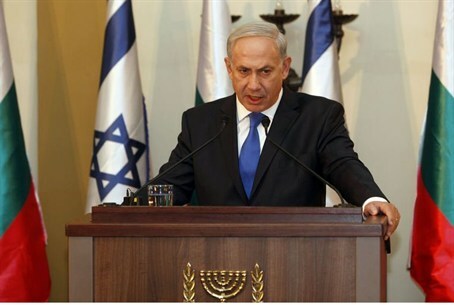 Netanyahu is due to have a working lunch with the French leader after his arrival Wednesday. Later in the day, he will also meet Prime Minister Jean-Marc Ayrault and Foreign Minister Laurent Fabius in what is his first visit to Paris since Hollande took office in May. On Thursday, Netanyahu is to travel to Toulouse to attend a memorial ceremony for three children and a French-Israeli teacher at a Jewish school who were shot dead by a gunman who also killed soldiers of North African origin.